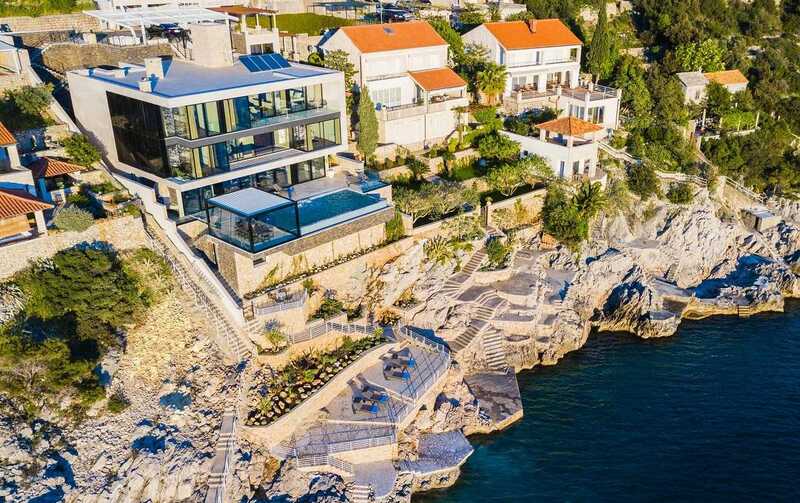 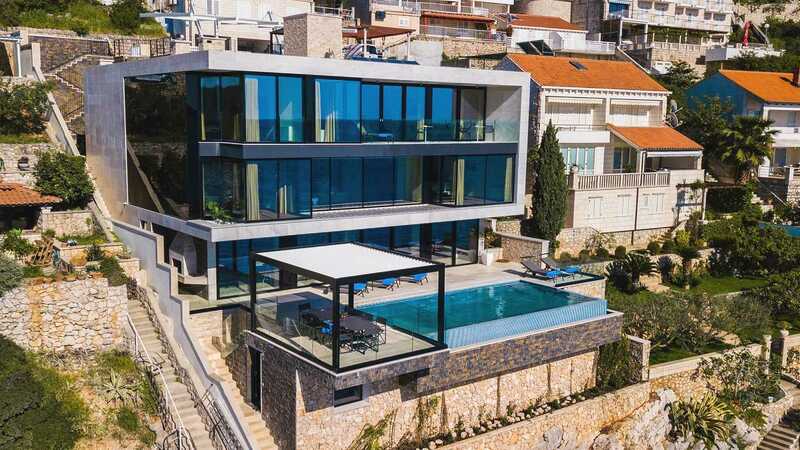 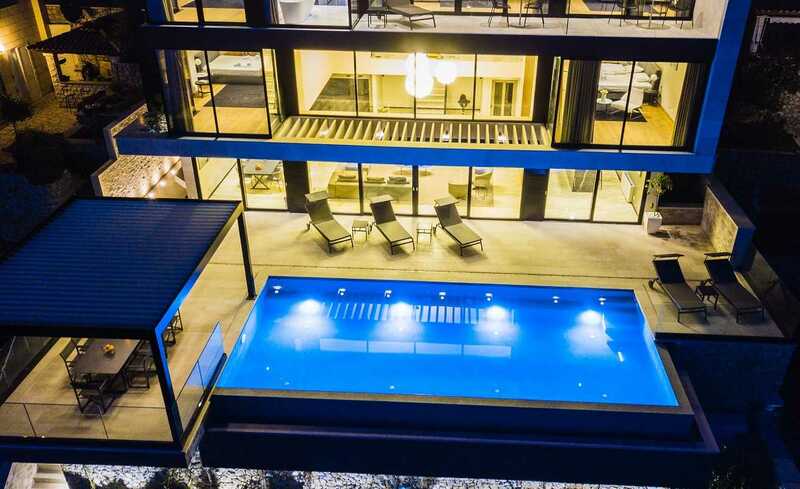 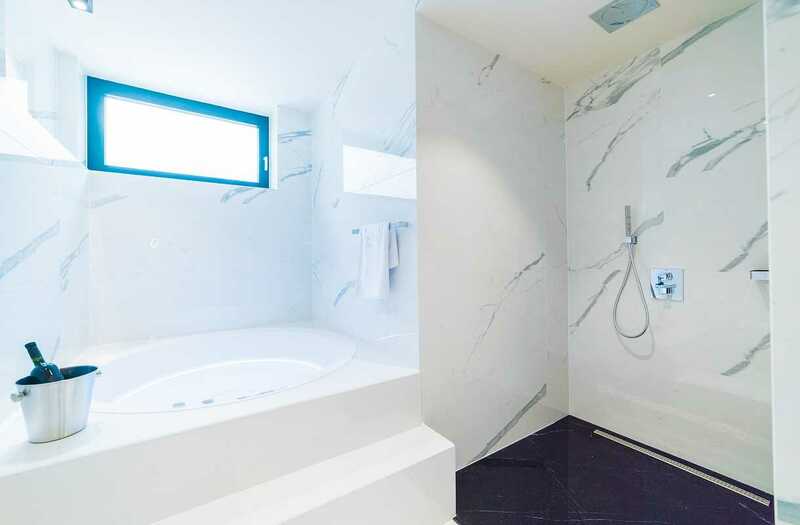 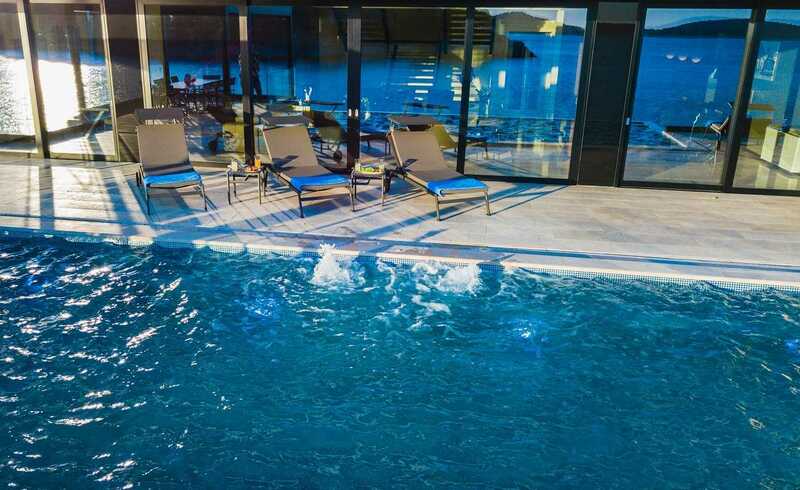 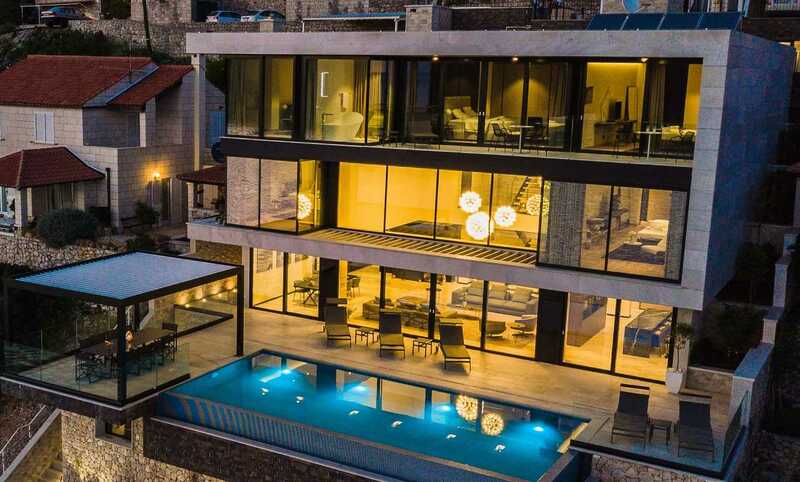 True luxury is a journey and Beach Luxury Villa in Dubrovnik with pool in Croatia is the destination for all lovers of the finer things in life. 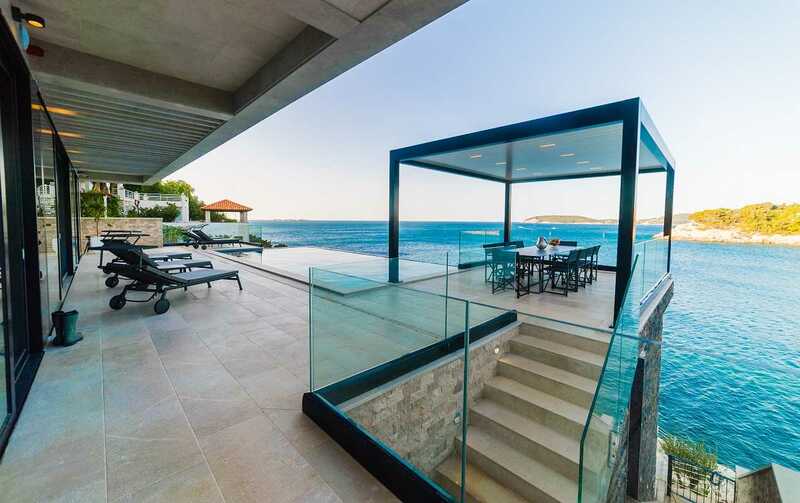 Beach Luxury Villa in Dubrovnik contemporary elegance comes infused with the dazzling fragrance of the Mediterranean seaside. 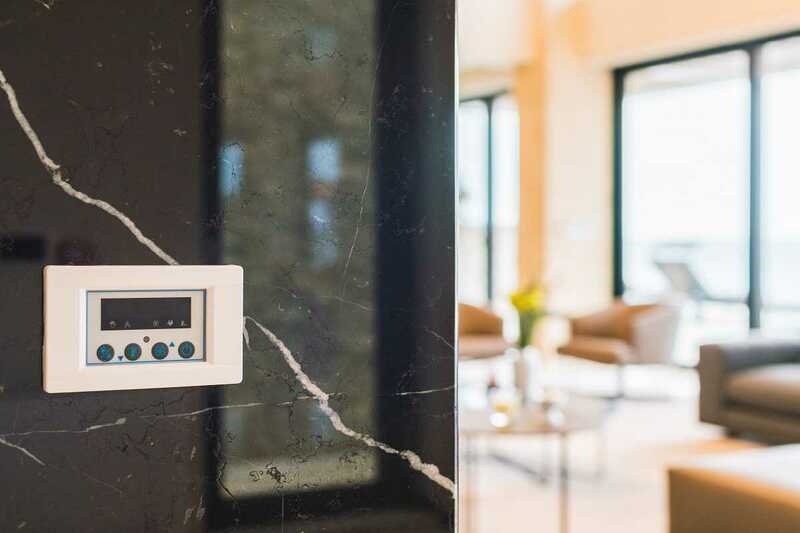 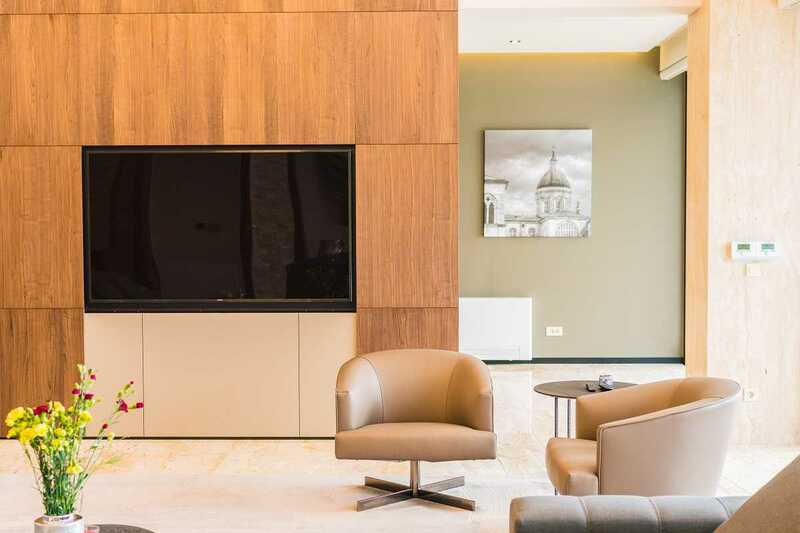 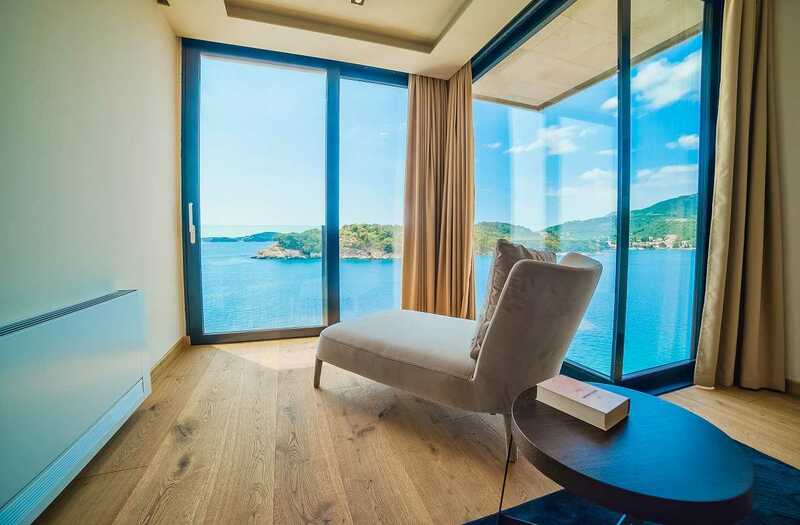 Lavishly styled, each glance here rewards: the state-of-the-art furnishings and fittings, opulent marble, oak finishing, and the turquoise sea sprawled beneath. 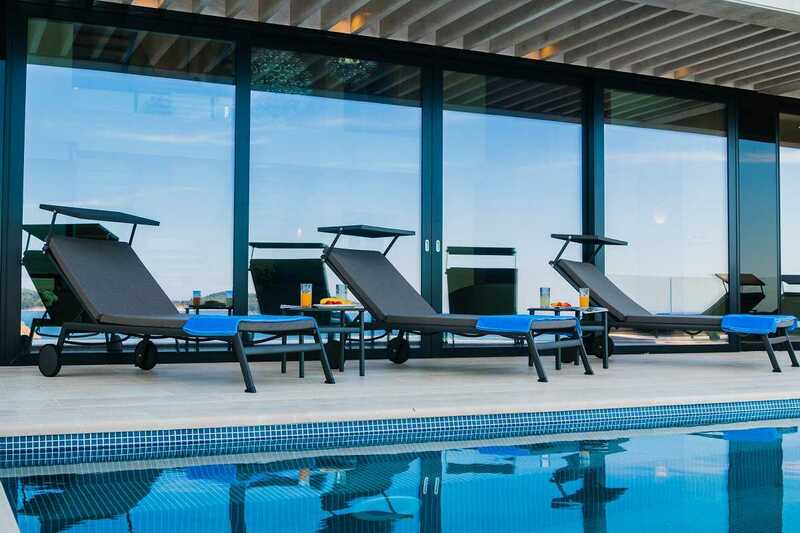 Start your day with a easy swim in the large infinity pool, then detox in the sauna, then move down to the private beach to gain some tan. 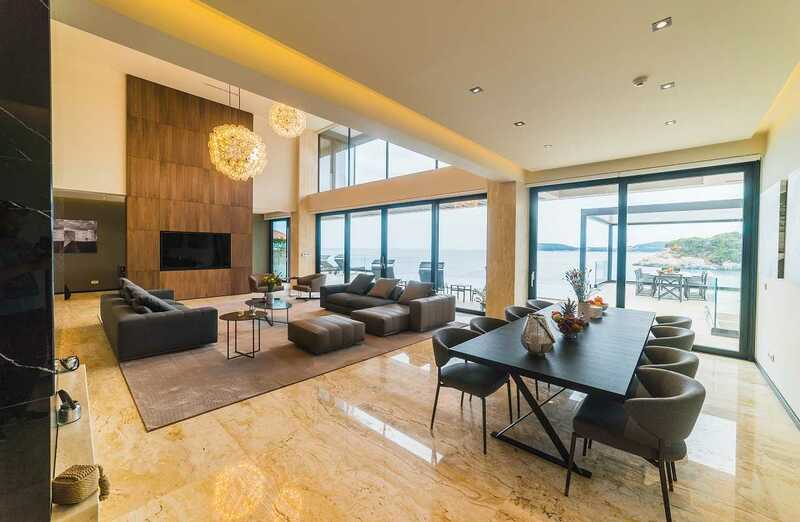 Retrieve indoors for a quiet moment, but never lose sight of the mesmerizing sea views. 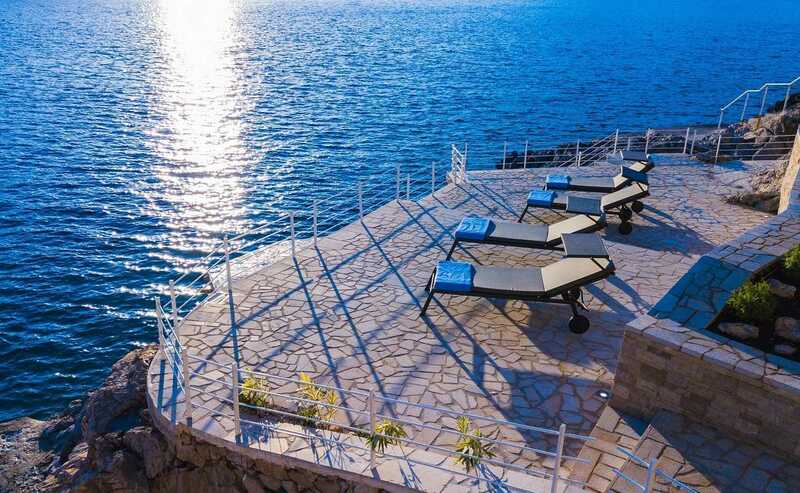 Wake up to the beat of summer wind striking boat sails and fall asleep to the spa sound of waves. 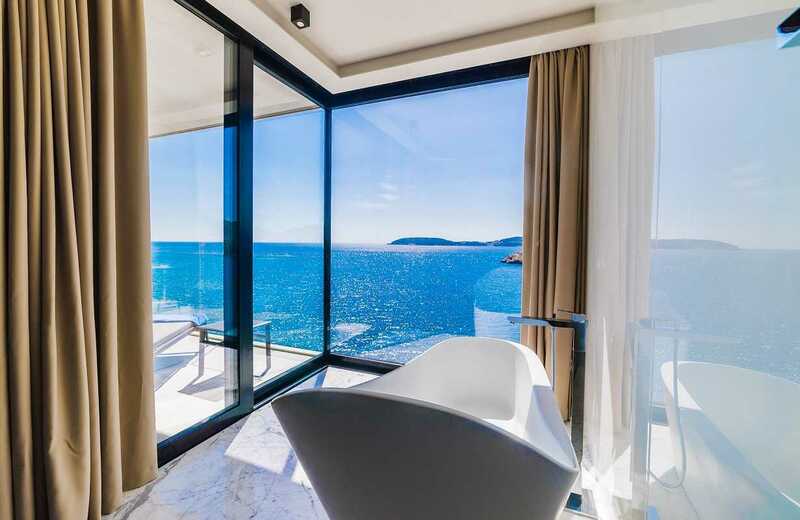 Lose yourself to glorious sunsets over and over again, always with a glass of fresh champagne! 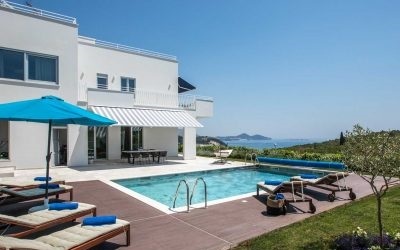 With five double bedrooms and two adjacent apartment units, Beach Luxury Villa in Dubrovnik with pool can accommodate up to 14 guests. 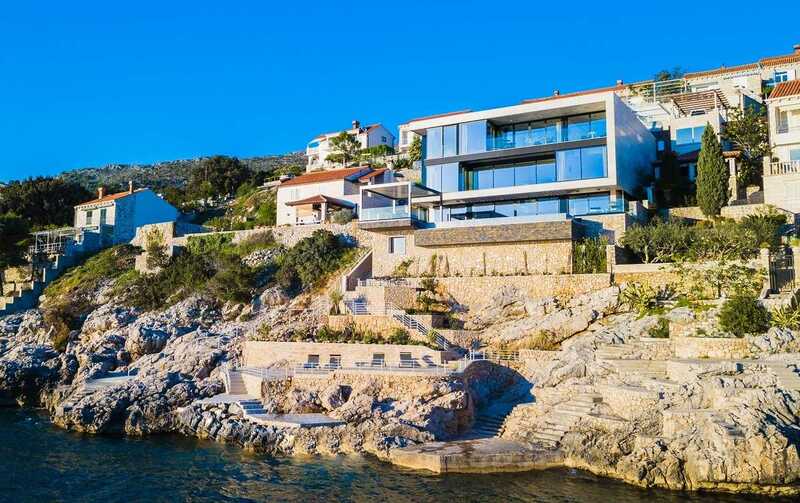 This luxurious stunner sits a short transfer by car or by boat from the glorious Dubrovnik Old Town, but is also near by the beautiful Elaphites, Peljesac peninsula, Mostar or Kotor. 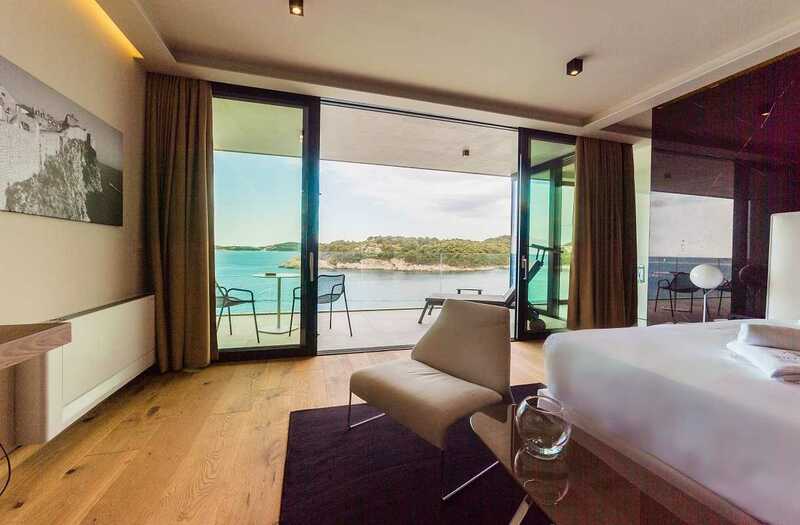 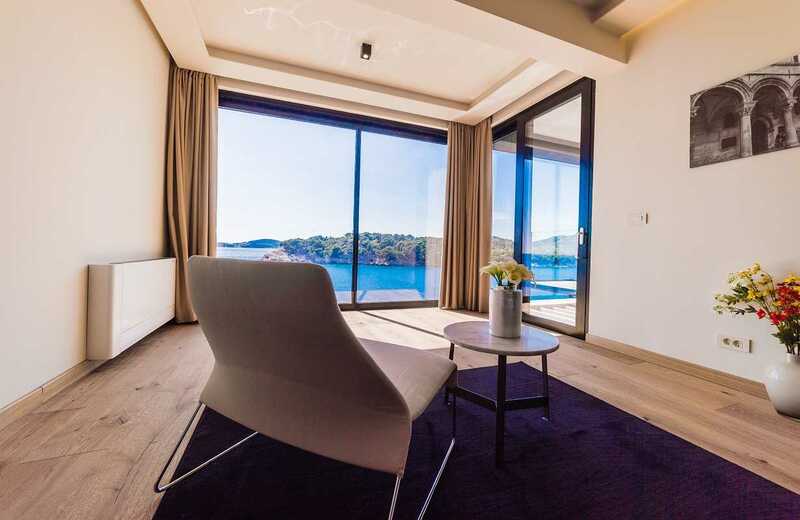 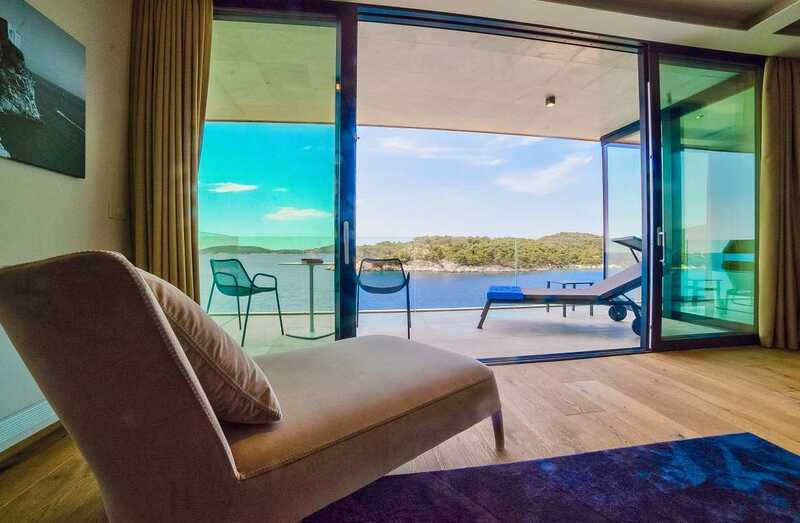 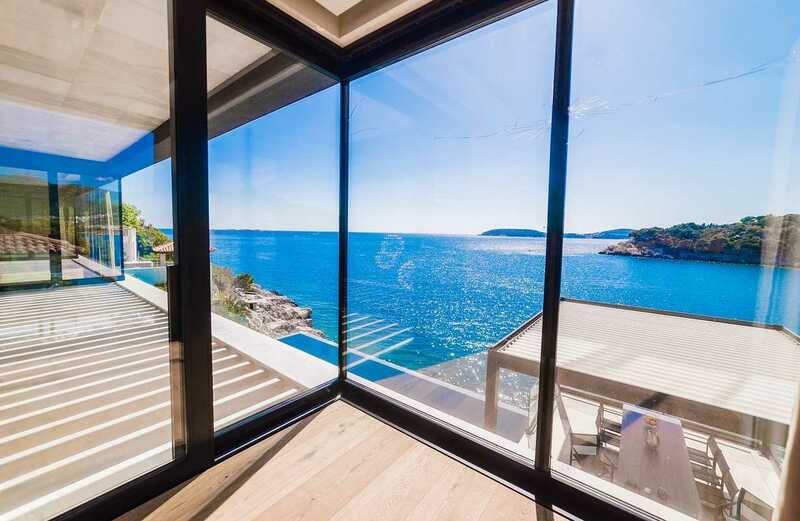 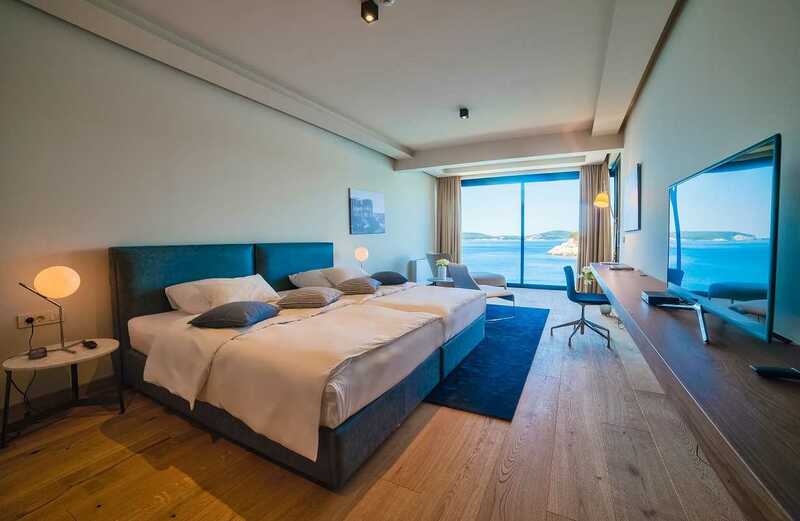 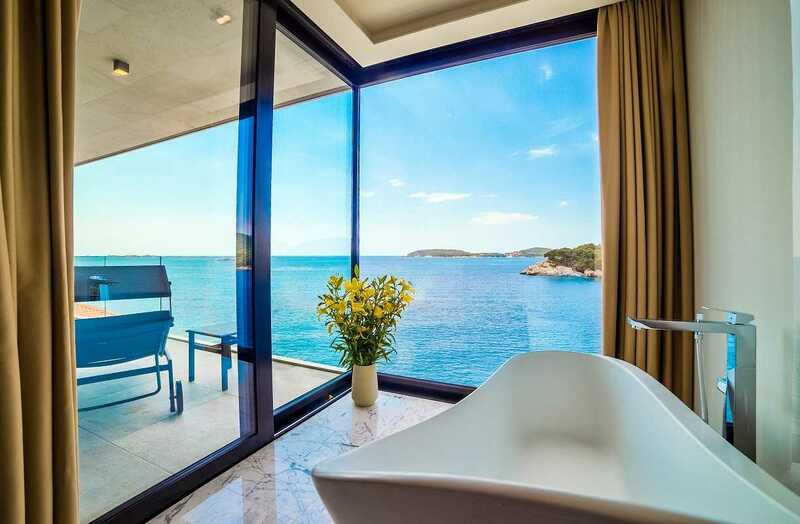 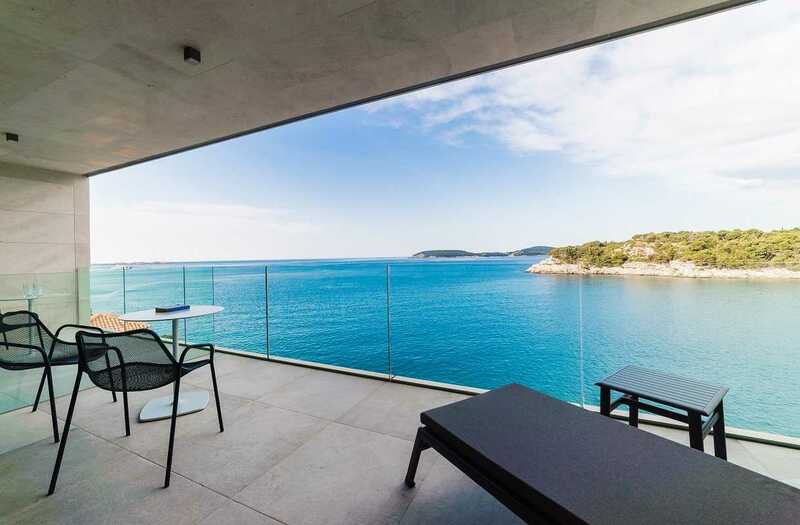 In the front row to the sea, face to face with the horizon, at Beach Luxury Villa in Dubrovnik Croatia with pool, sauna, you can truly enjoy each day afresh. 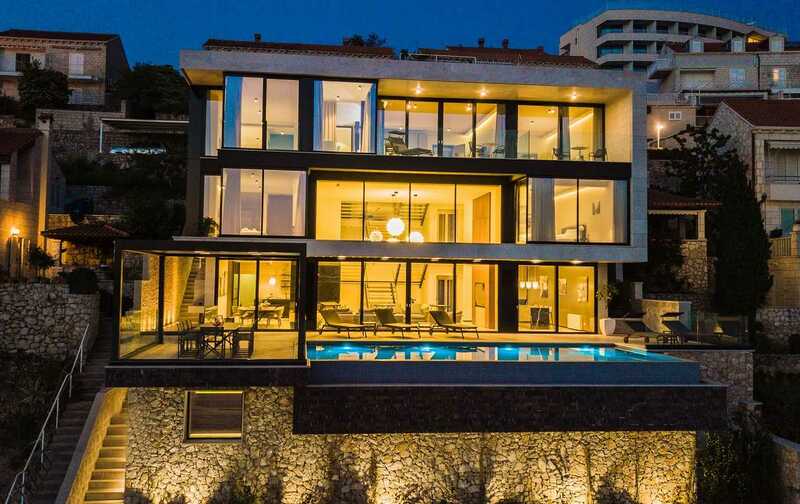 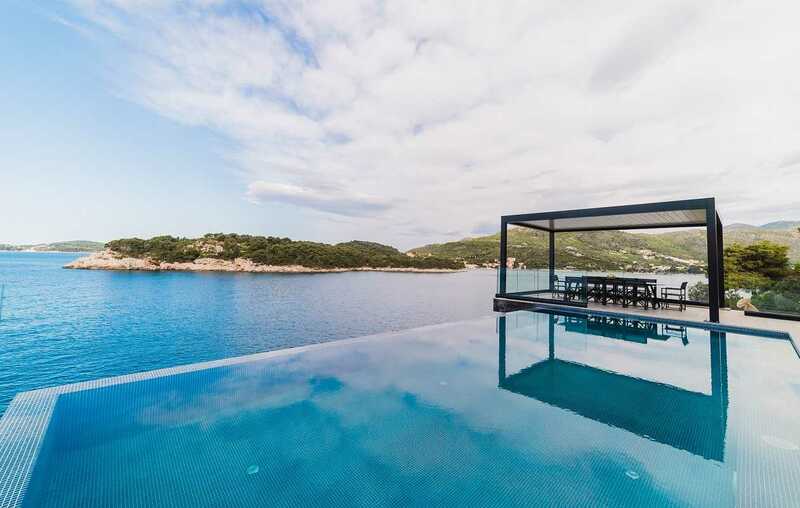 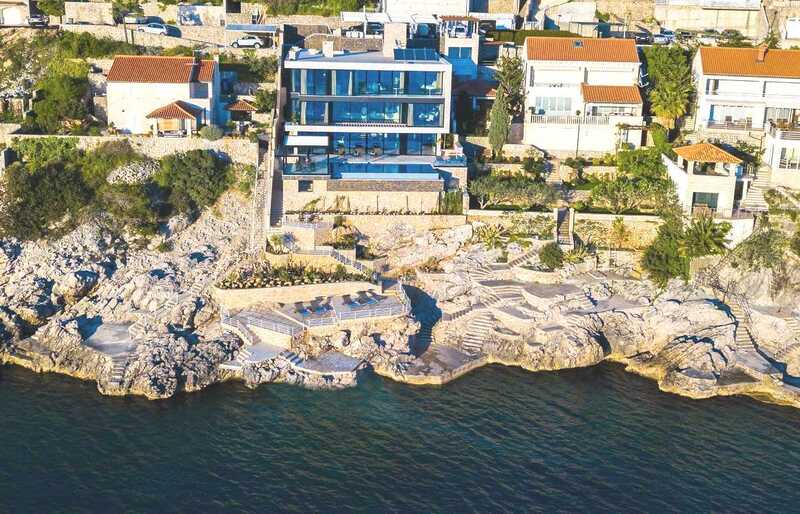 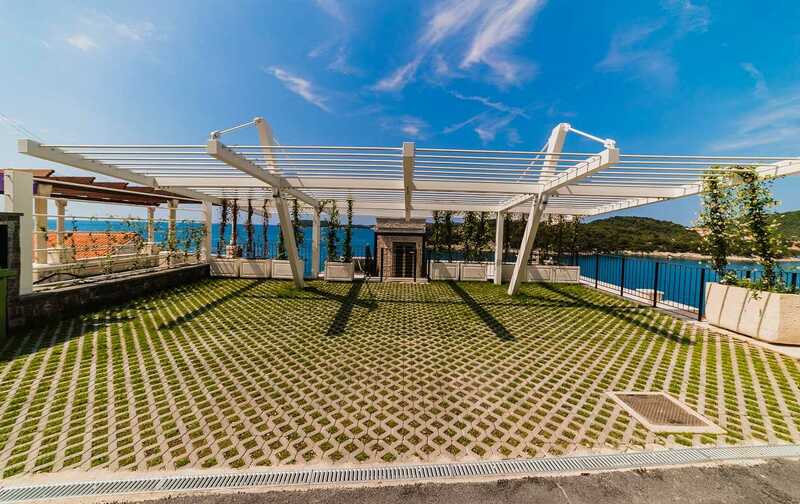 With 1,200 square meters of property space divided between the airy indoors and spectacular outdoors, Beach Luxury Villa in Dubrovnik with pool is truly your own corner of the Adriatic coast. 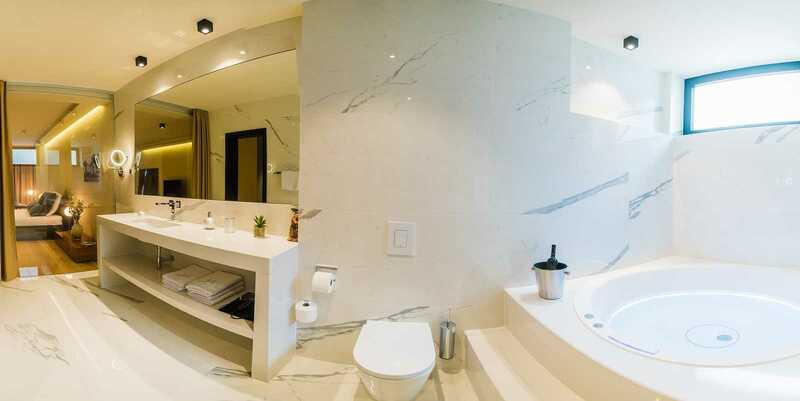 Nestled among a few small residences, it envelops you in a soothing calm and superb privacy. 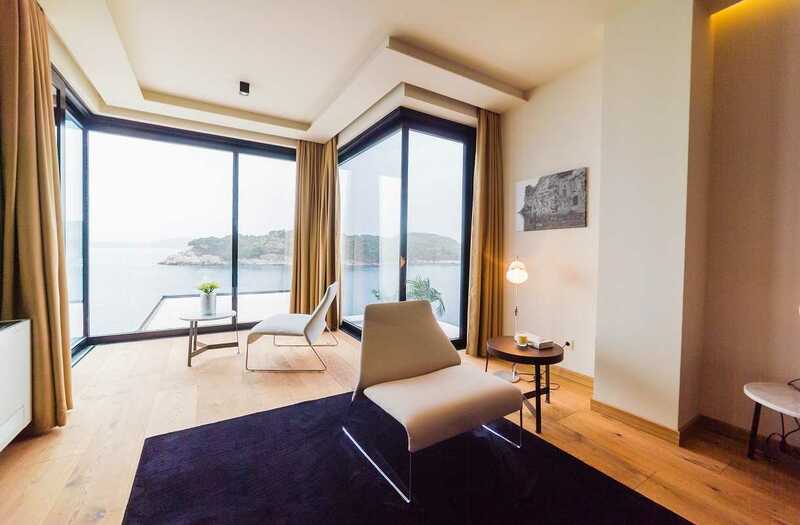 Incredibly peaceful, the property cascades down a rugged slope all the way to the sea. 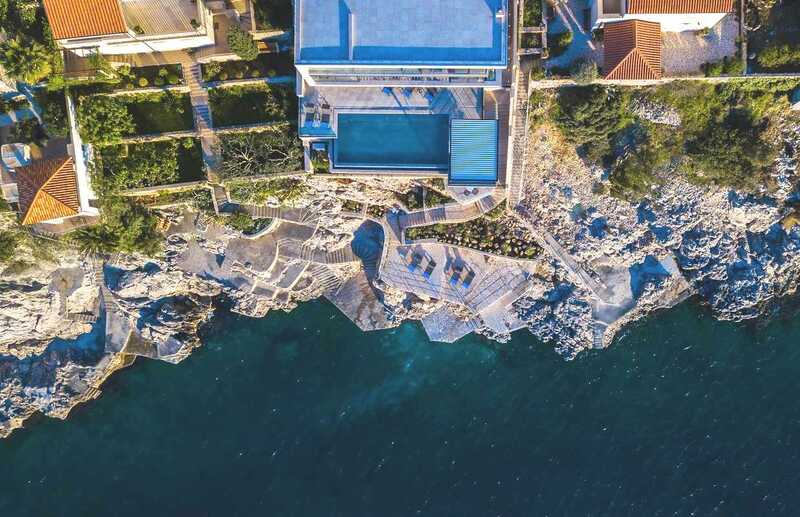 Stone dry-walled garden terraces surround the private beach, capturing the essence of the local traditional architecture. 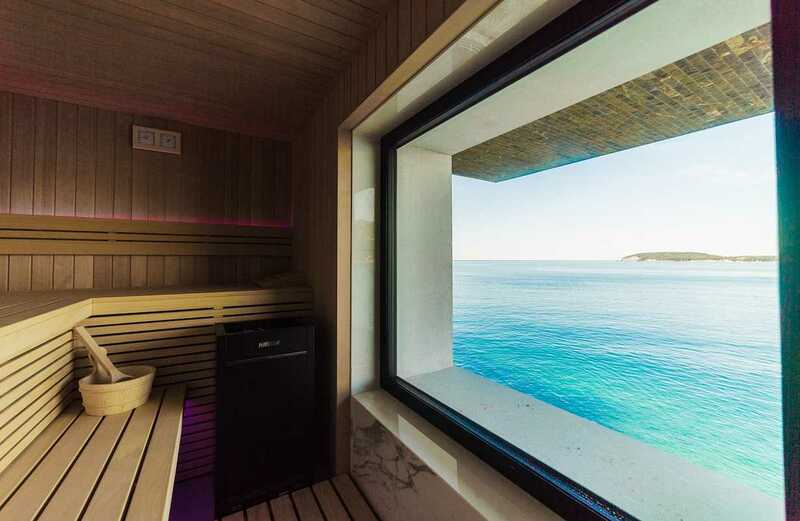 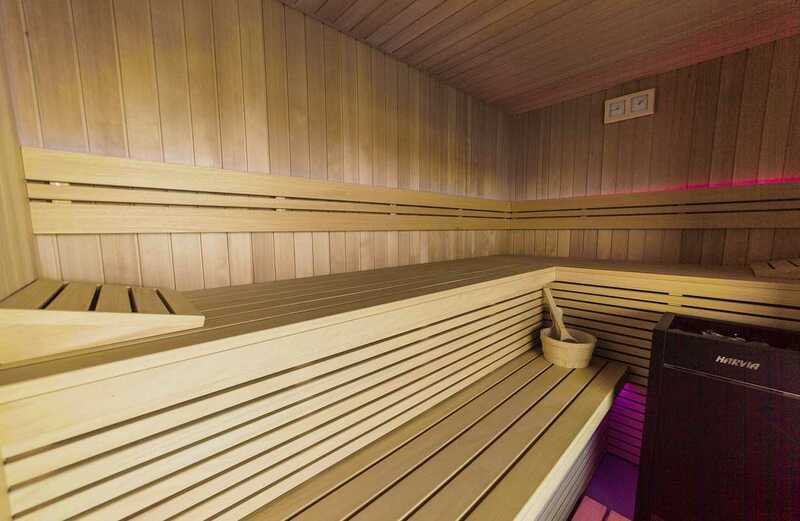 Finish sauna with a toilette and shower tucked away at one of the levels, complete with a window to enjoy the sea views! 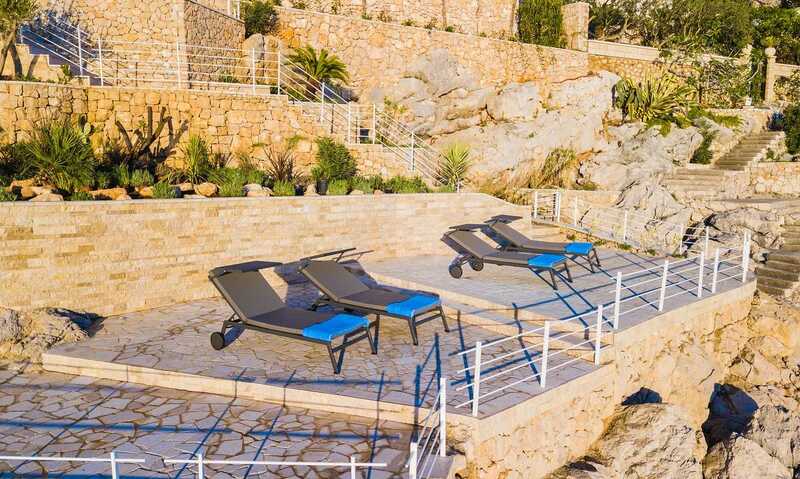 The private beach plateau with sun loungers has a berth, allowing you to arrive and go by boat. 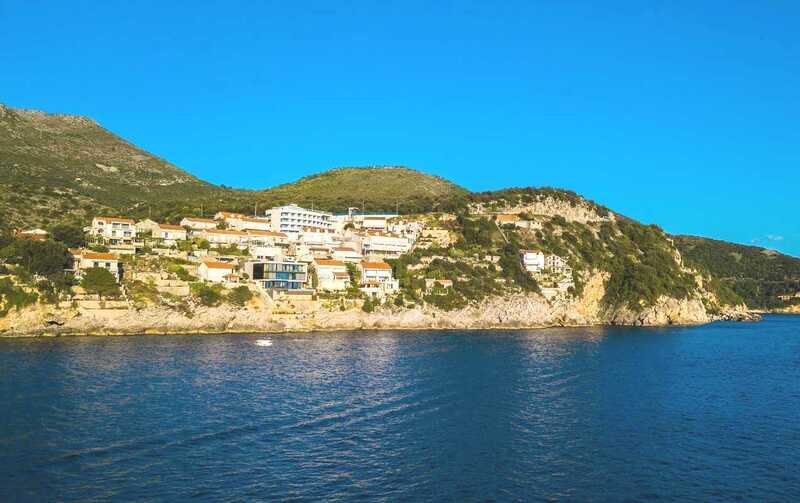 This is especially ideal as Dubrovnik Old Town can be visited by a boat. 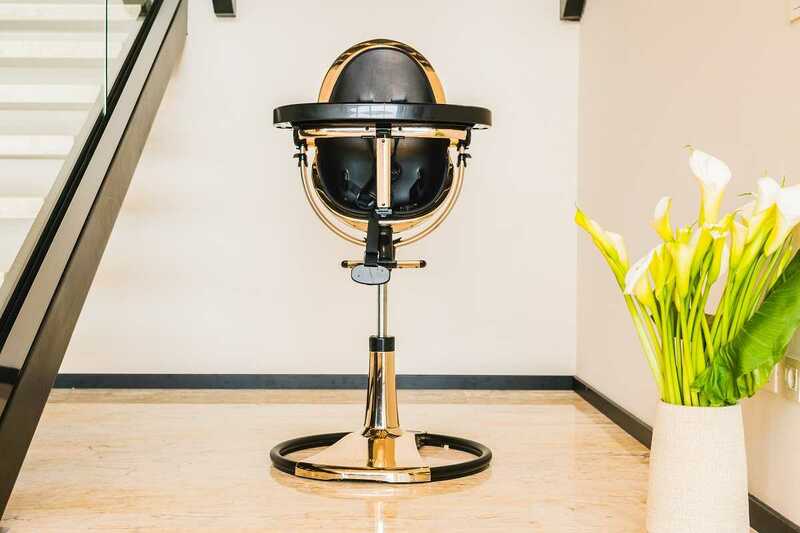 Counter the summer heat with some summer breeze in your hair, skipping the road traffic altogether! 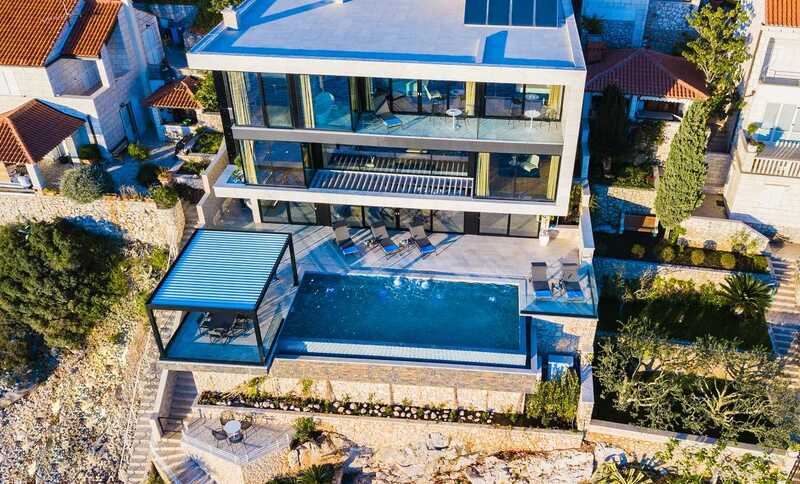 Towering the beach and garden terraces, the holiday house is the best kind of modern, with a white, stone-lined exterior and a front façade fully dressed in glass, designed to maximize on the sea views throughout. 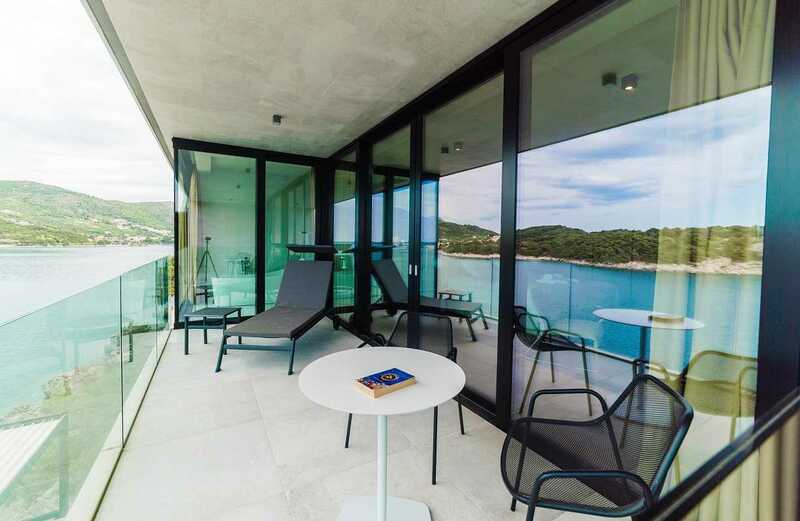 You’ll enjoy the same jaw-dropping views of the tiny islets and Koločep Island from the large terrace fronting the lounge. 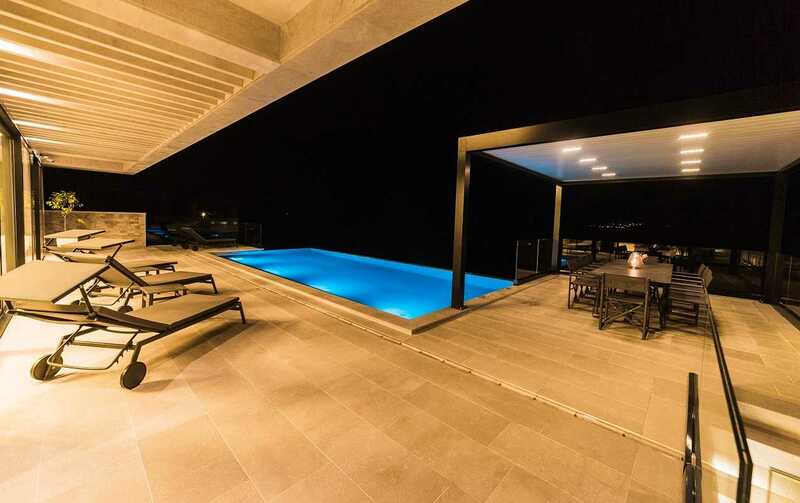 You’ll feel one with the both in the infinity pool and at the breezy outdoor al fresco dining area. 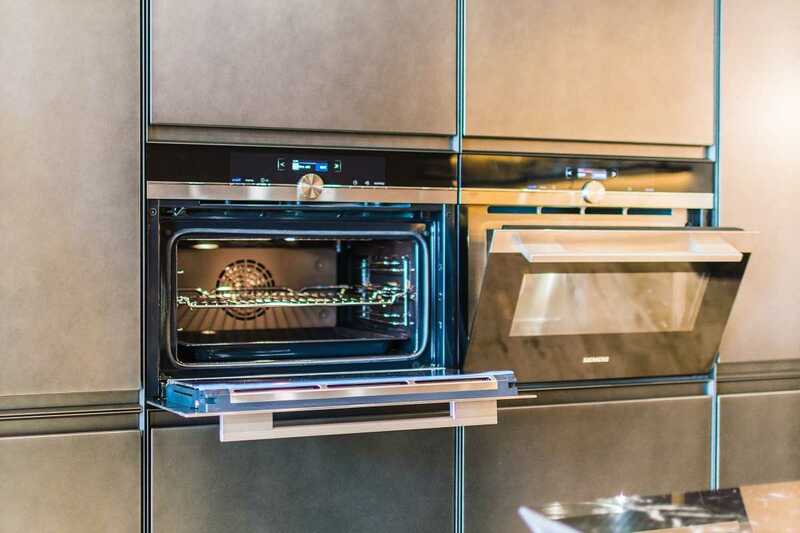 Hidden to the side, a fireplace with grill is a lure to arrange a private chef come over and prepare fresh fish for your lunch! 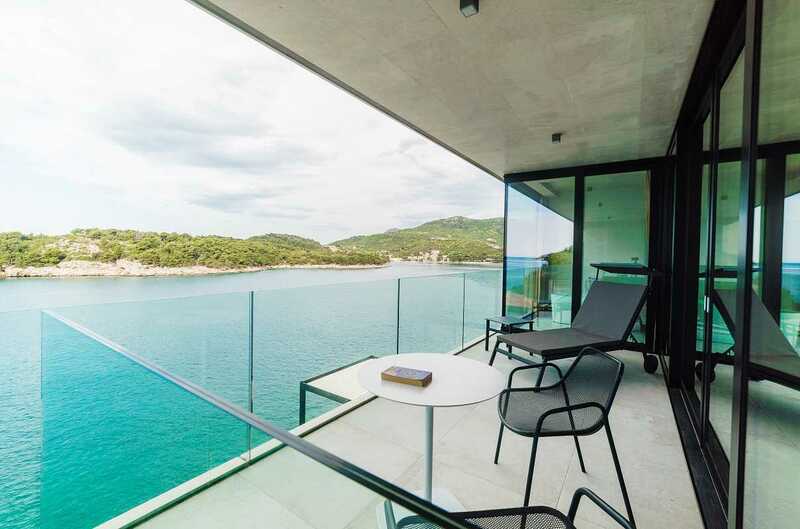 The immense interior of the Dubrovnik holiday house spreads 700 square meters over 3 levels and a smaller structure in the back. 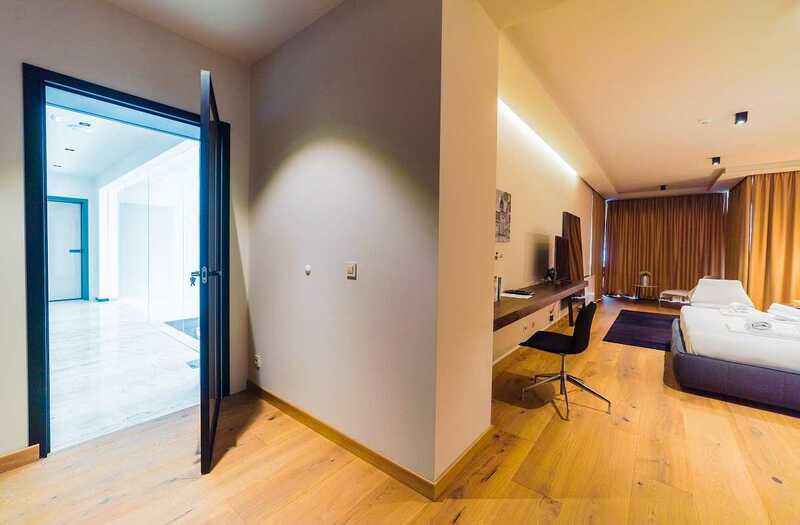 The common areas are on the ground floor, two guest rooms on the first and three on the second floor. 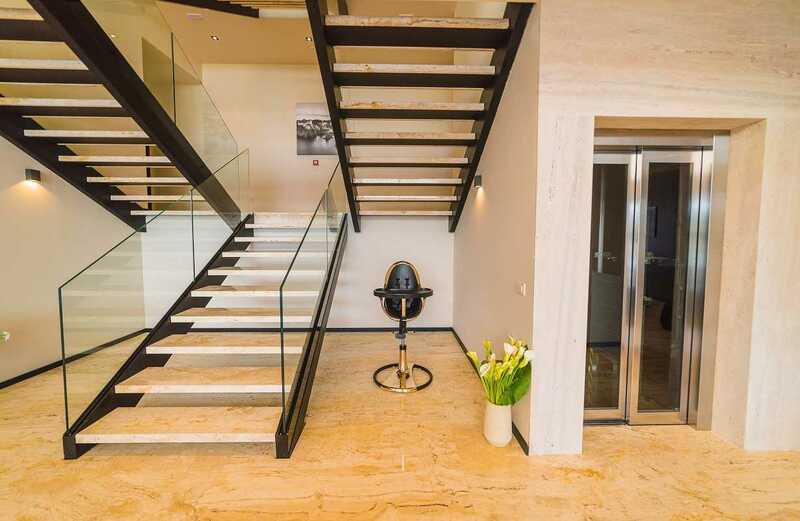 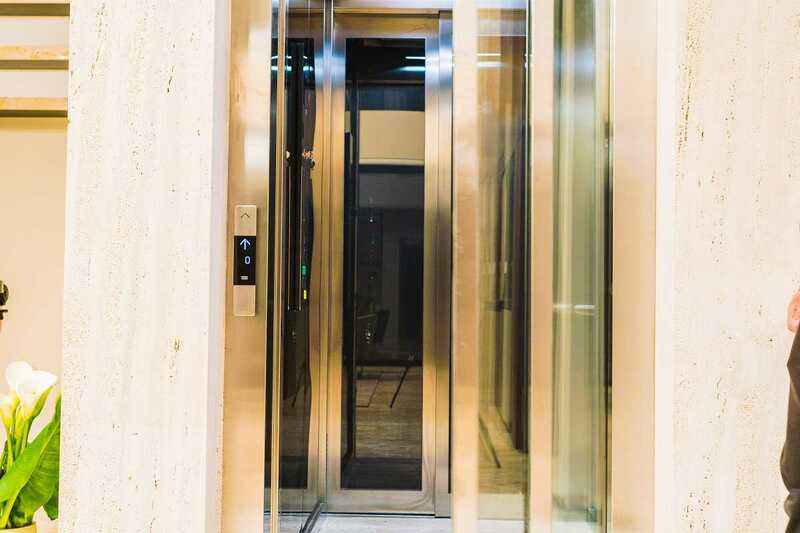 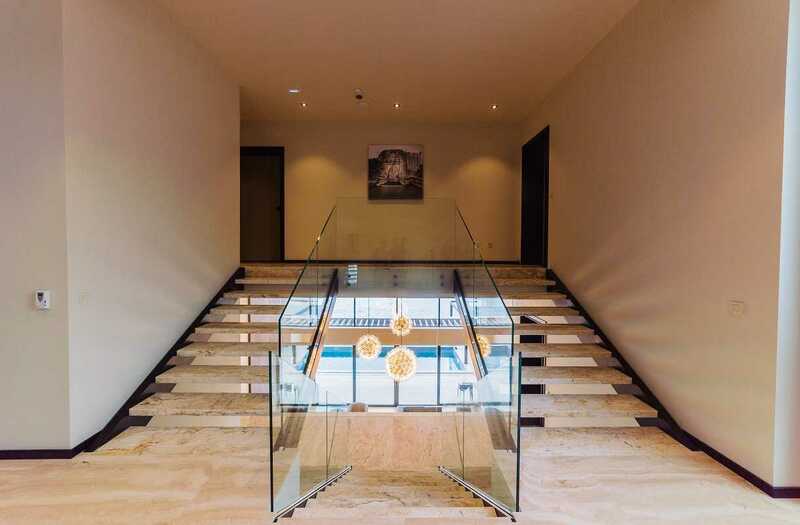 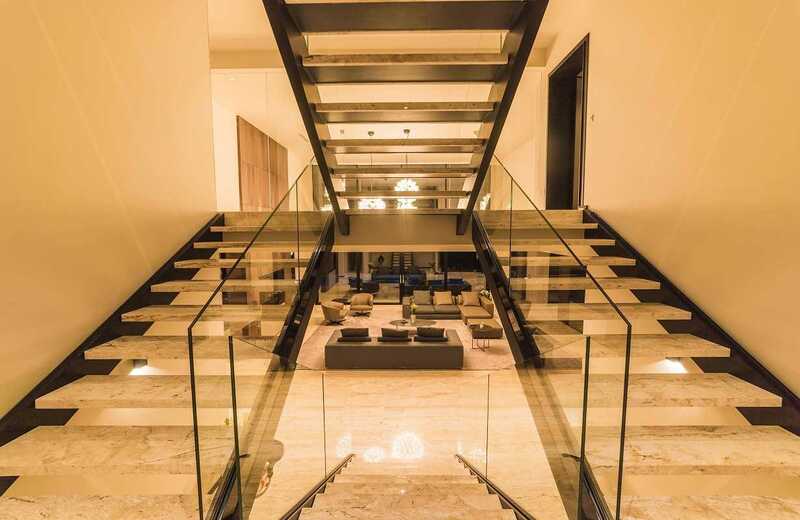 An elevator in the house is an added convenience for guests with reduced mobility. 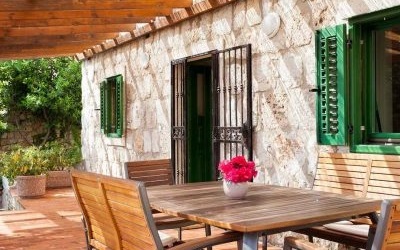 Two apartments each with a kitchenette are in the back, ideal for groups travelling with staff or family members who need more privacy. 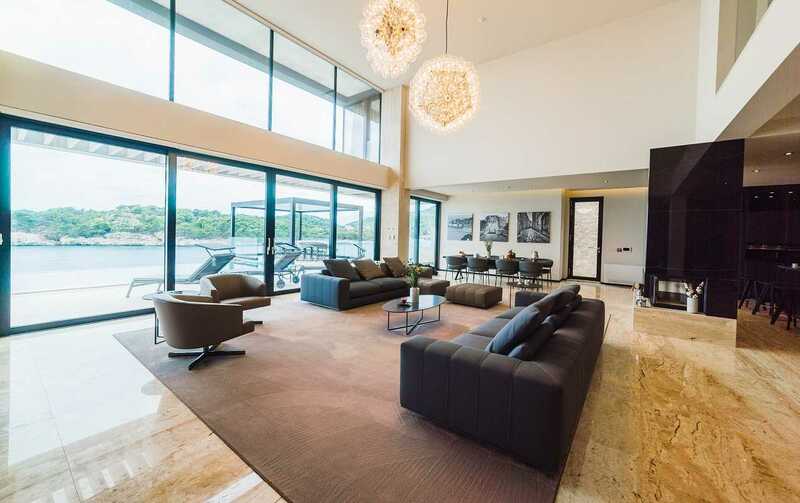 The ground floor is a vast, open concept area with high ceilings and floor-to-ceiling windows, flooding the airy space with natural daylight. 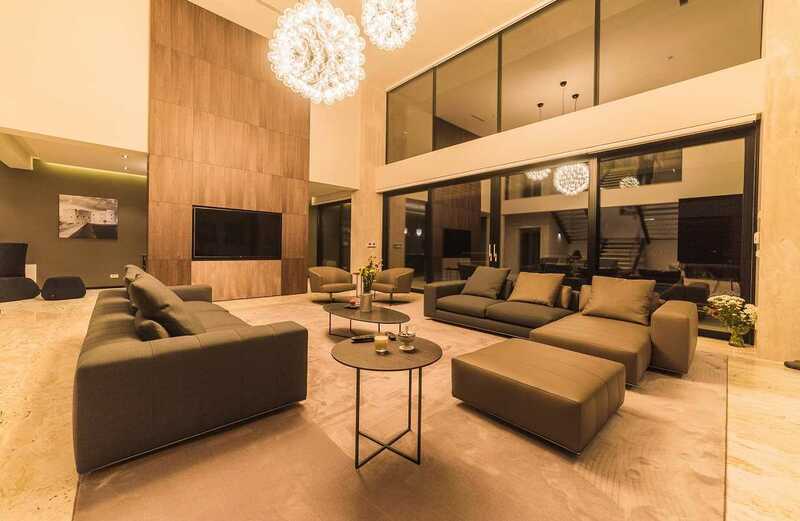 The open bulb chandelier adds a chic tone to the neutral color palette and grey class sofas. 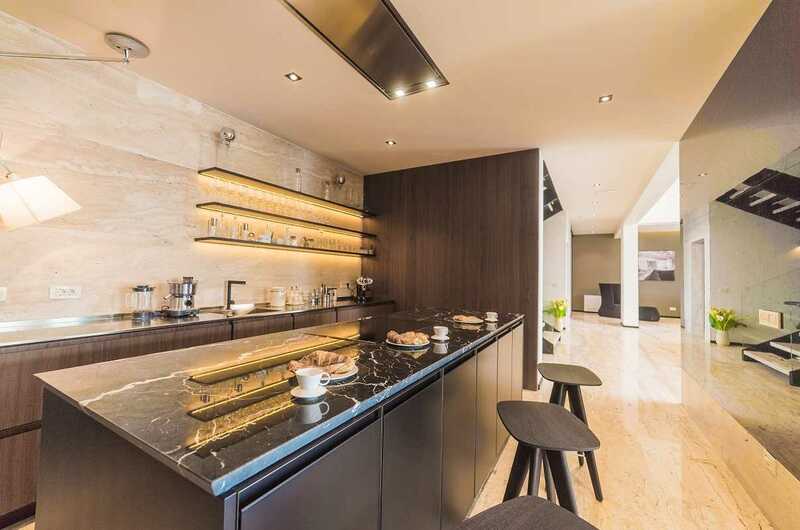 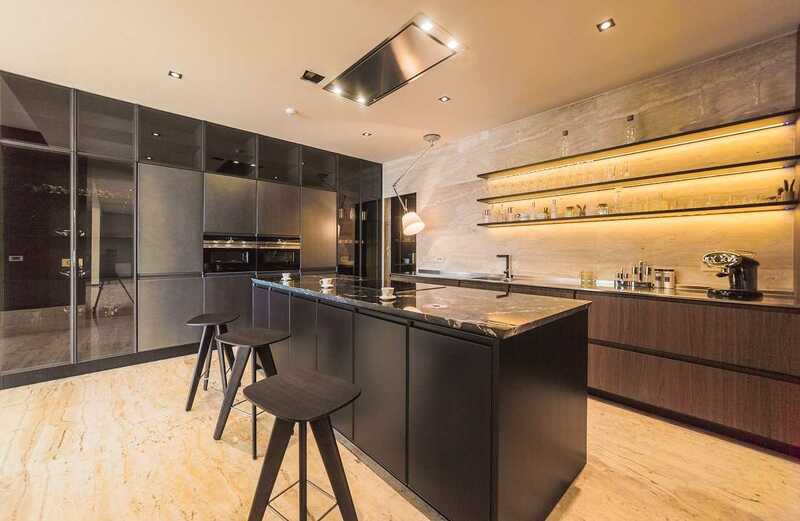 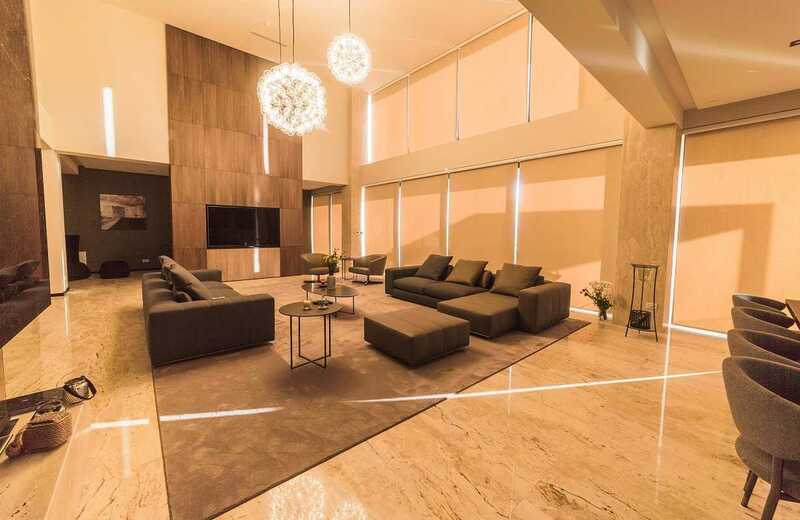 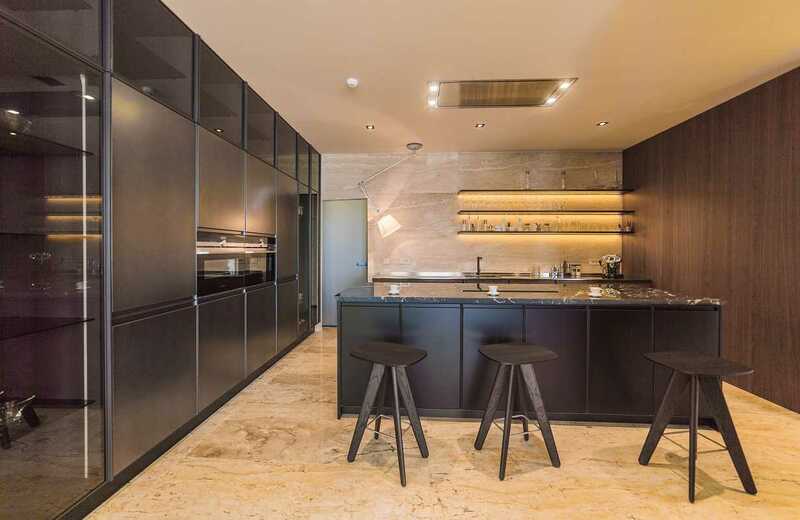 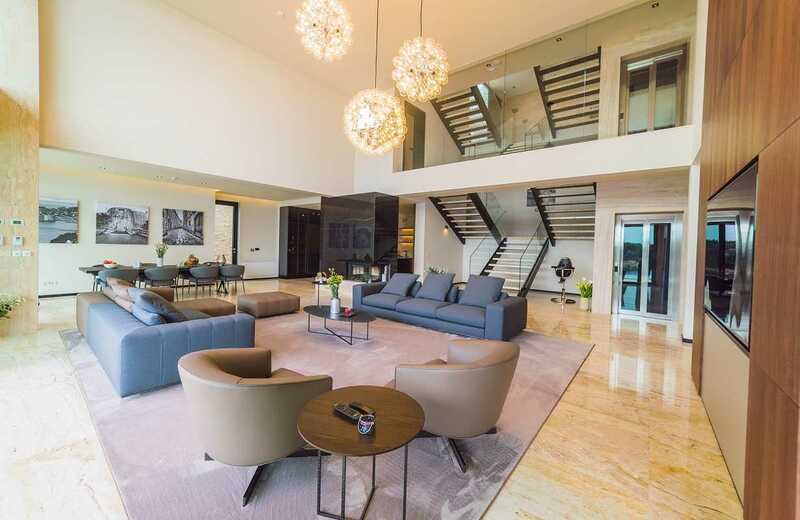 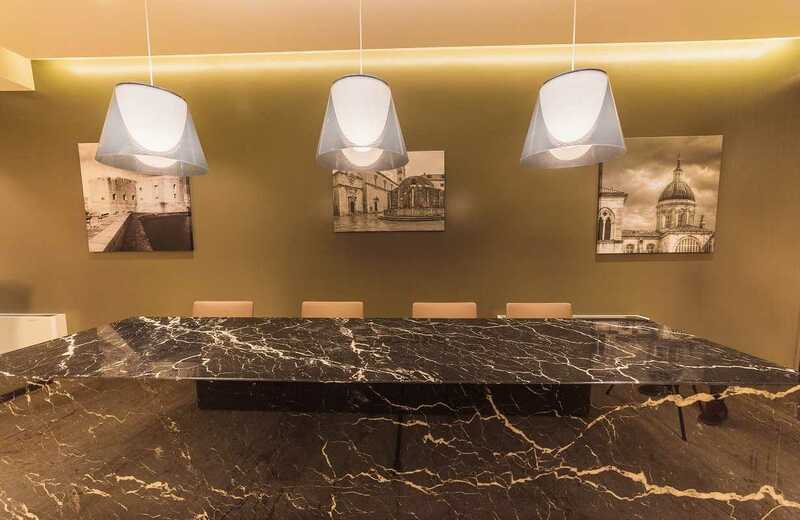 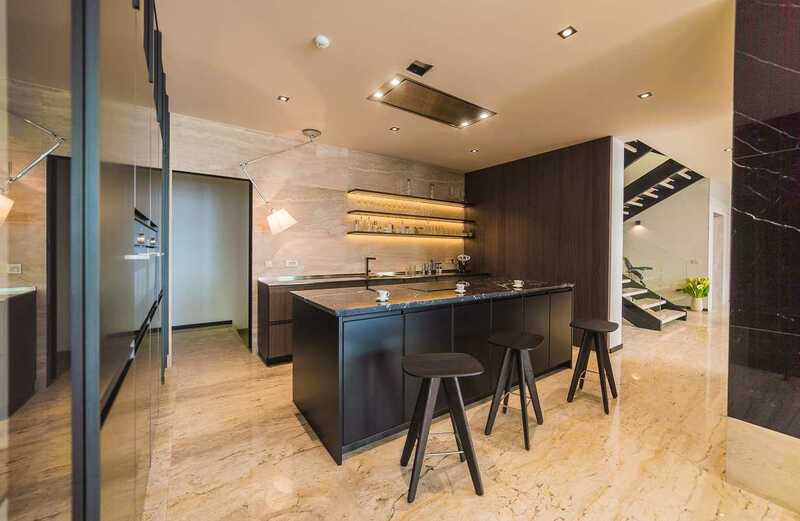 To the side of the lounge, find a dining table by the windows and a kitchen in the back, separated by a black marble floor-to-ceiling partition with an integrated fireplace. 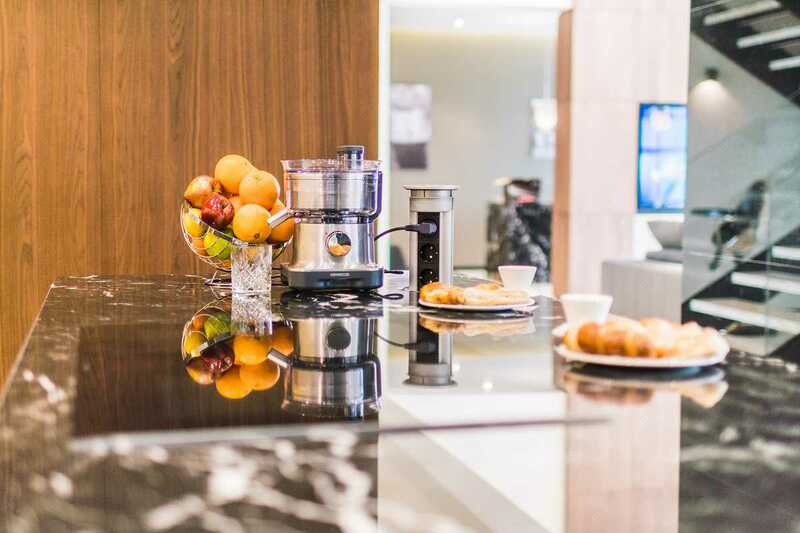 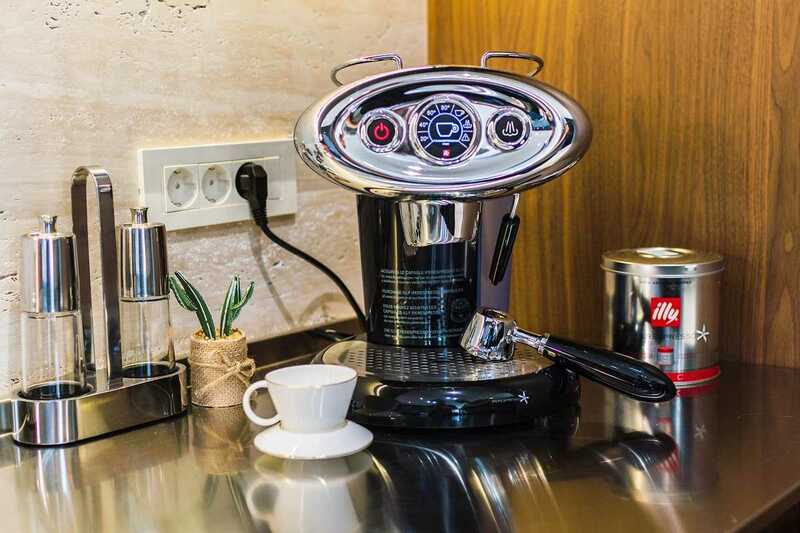 The kitchen is fully equipped with top quality appliances, and features large work surfaces and an additional storage area. 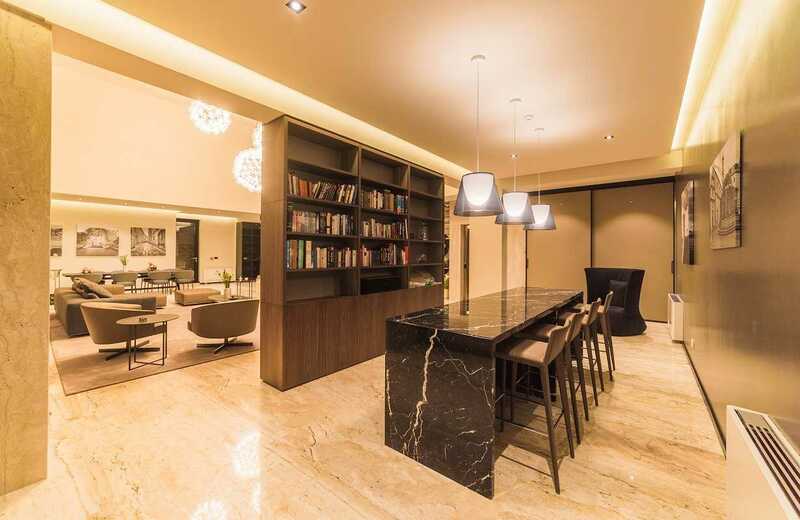 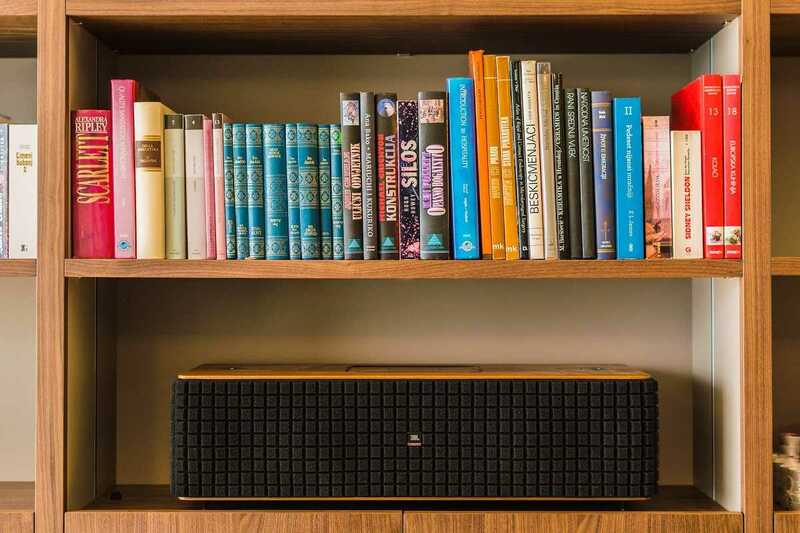 On the opposite side of the lounge, a library area with a bar is an ideal place for holiday conversations, book moments and après-sunset with cognacs. 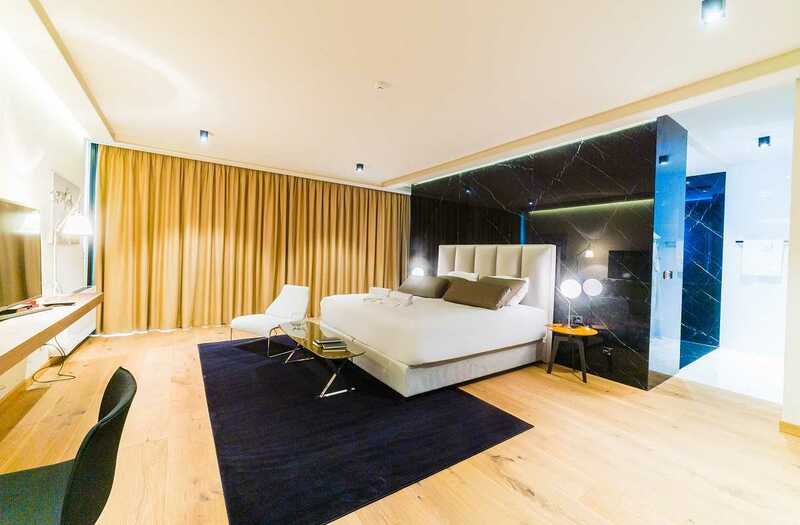 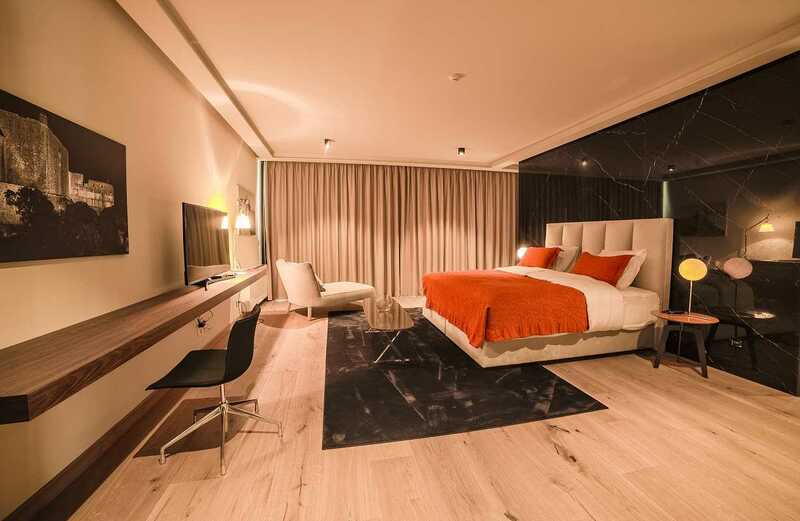 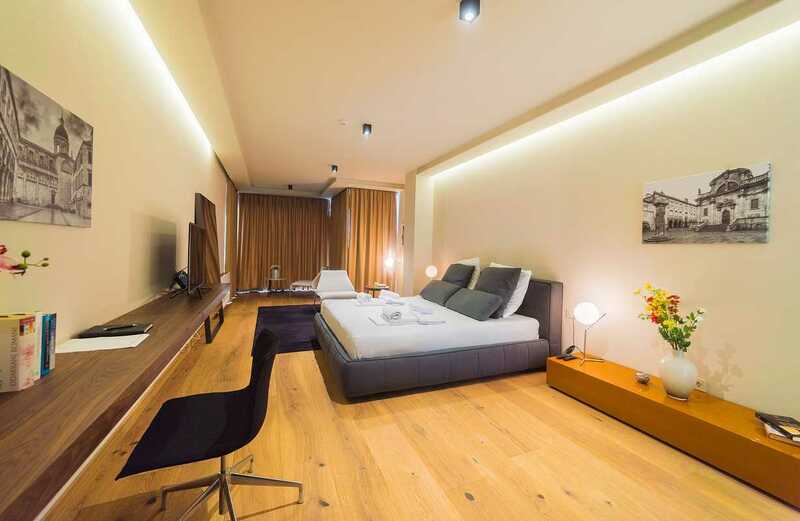 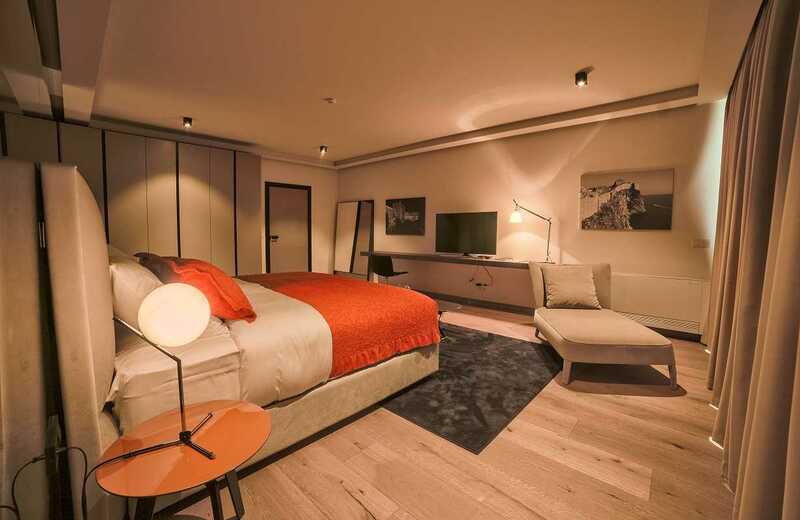 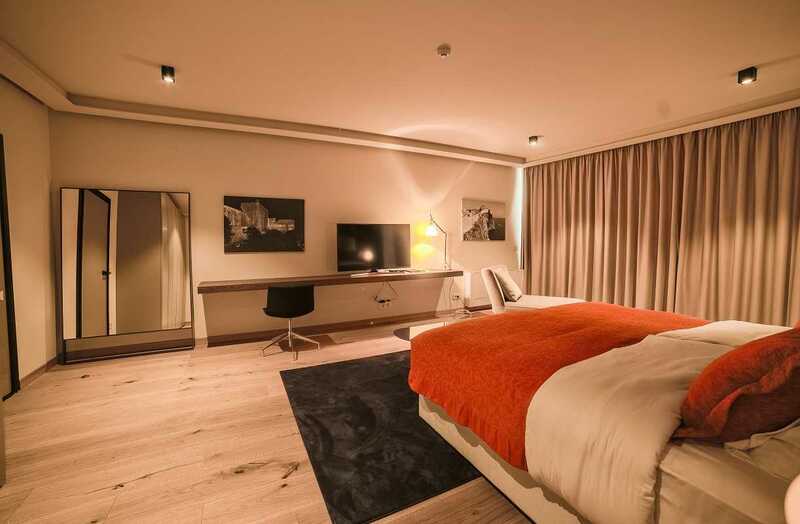 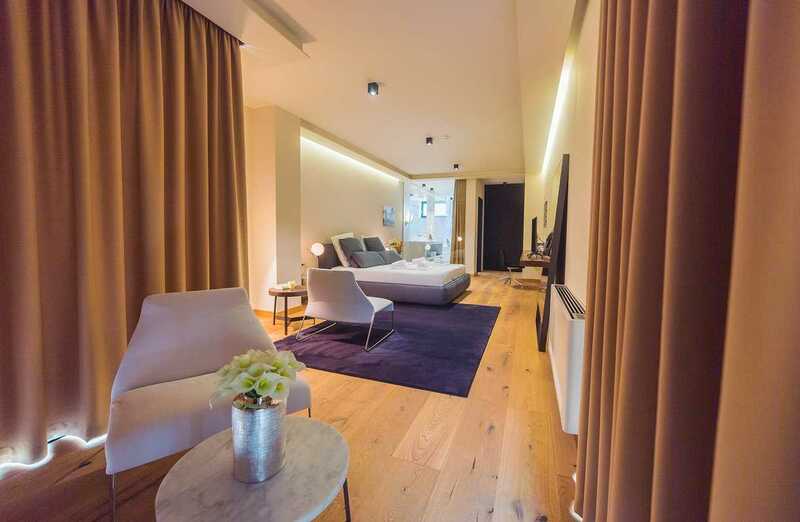 The five hotel-worthy guest rooms are incredibly spacious, with the master room standing out with 70 square meters. 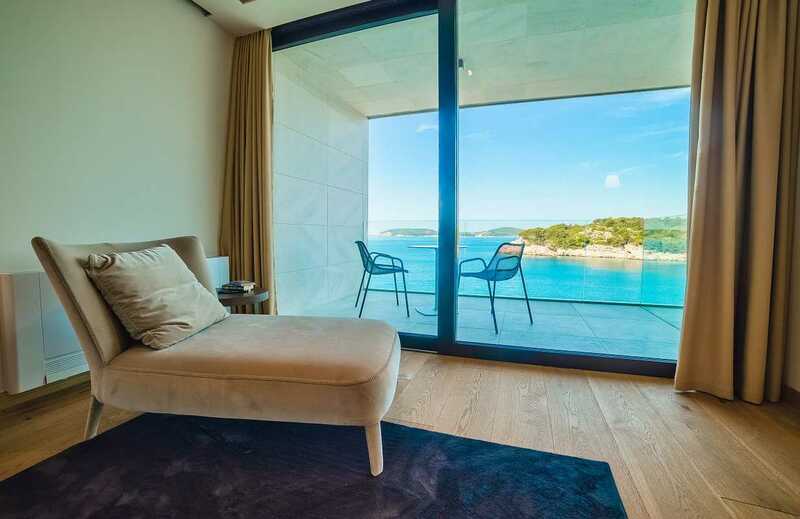 Many open to balconies or French windows, allowing you to enjoy the views from your over sized bed or window side chaise. 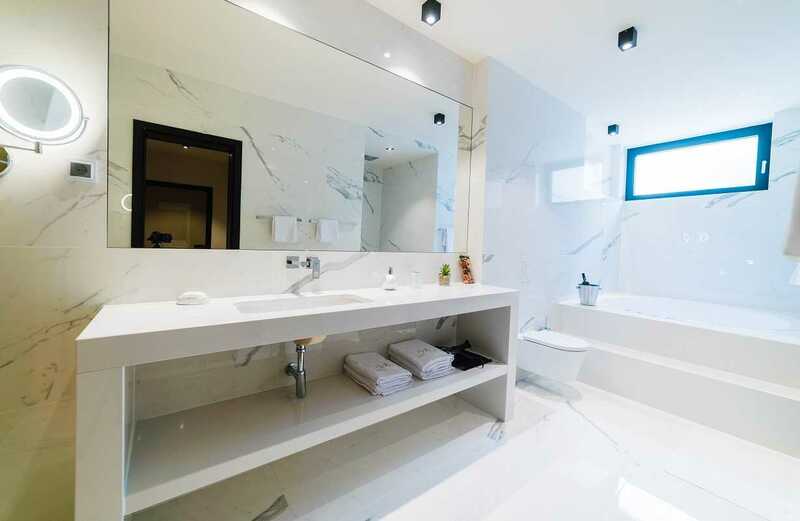 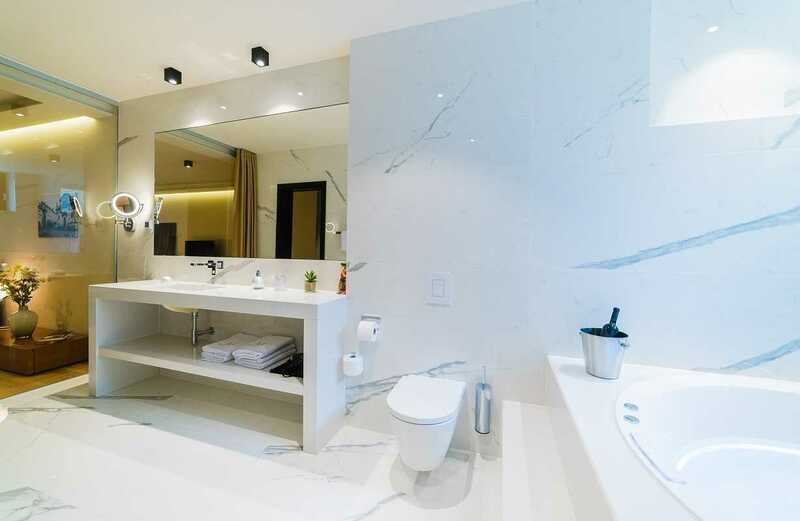 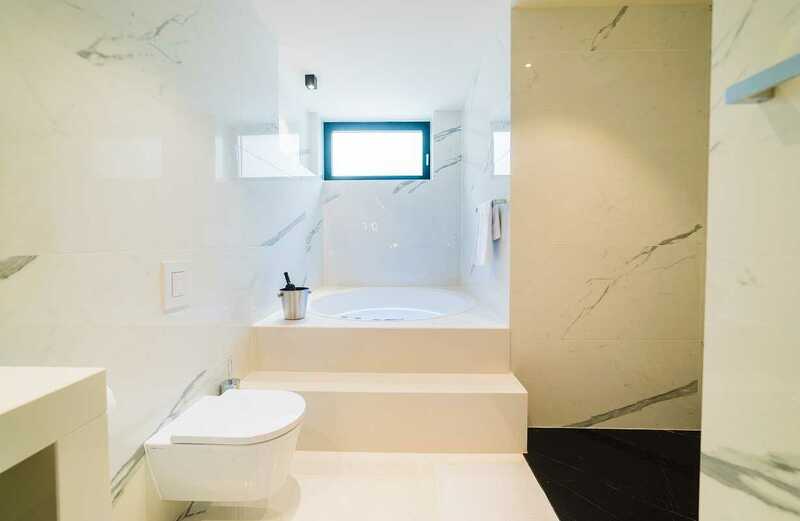 Every bedroom has it’s own an en suite bathroom. 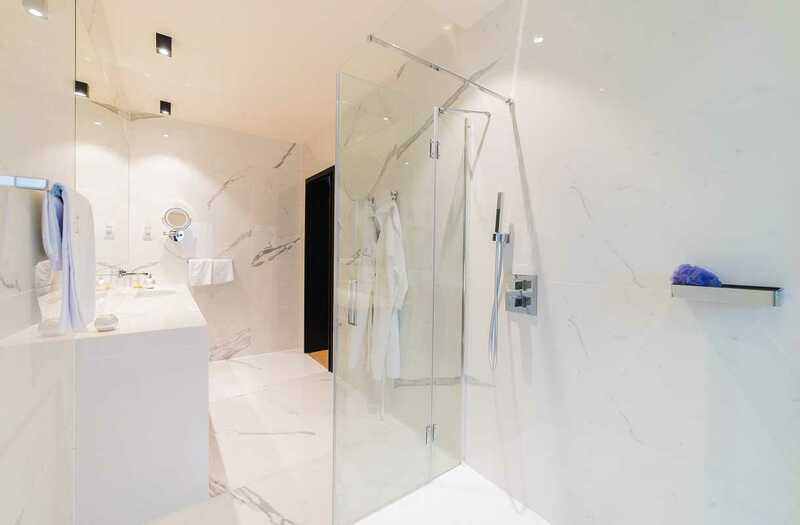 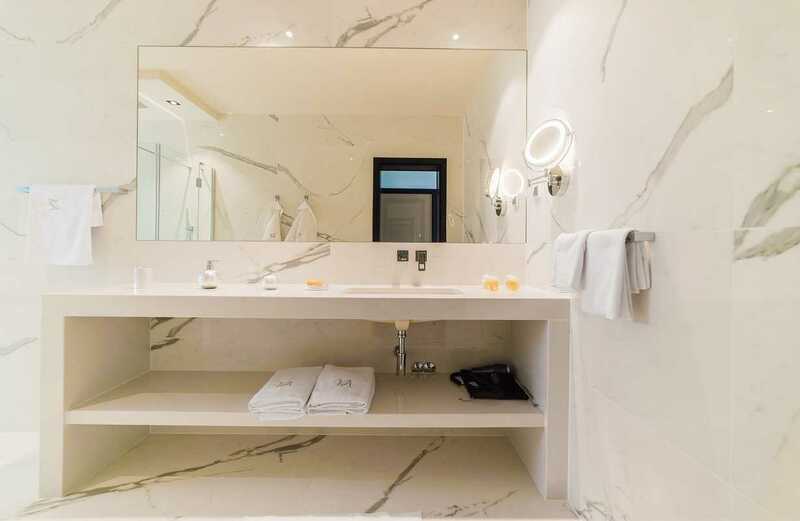 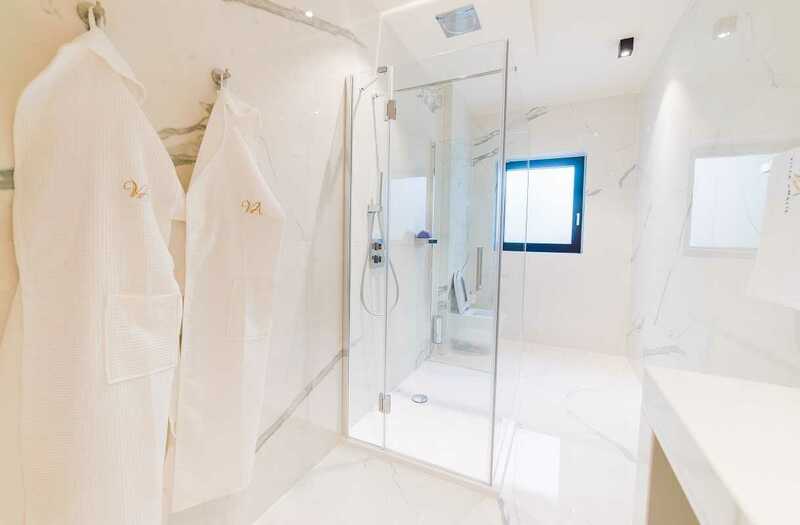 All white with marble floors, walls and counter tops, ceiling rain showers and top class cosmetics, they are gems in their own right. 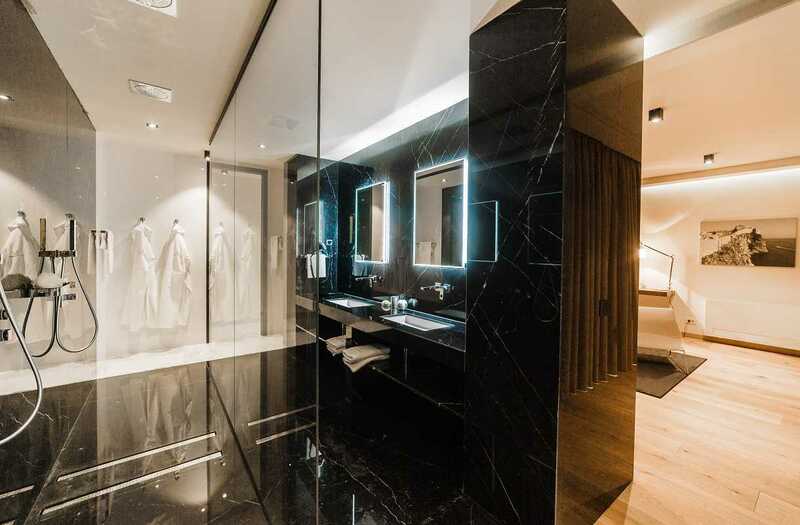 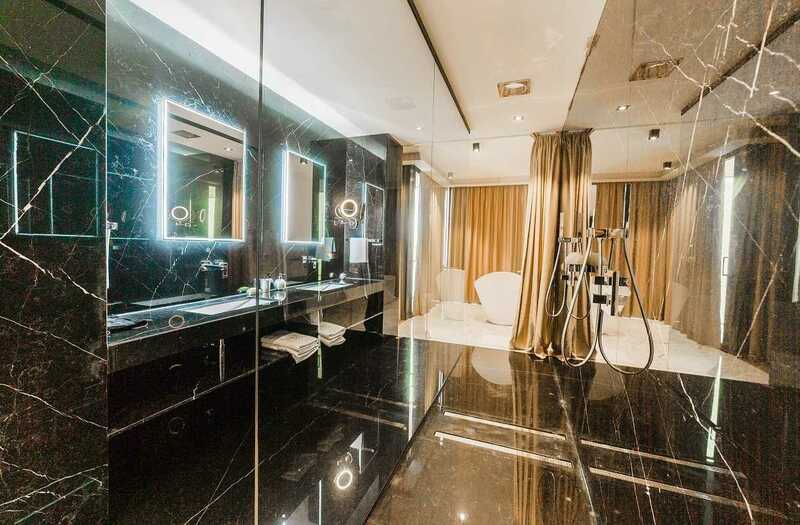 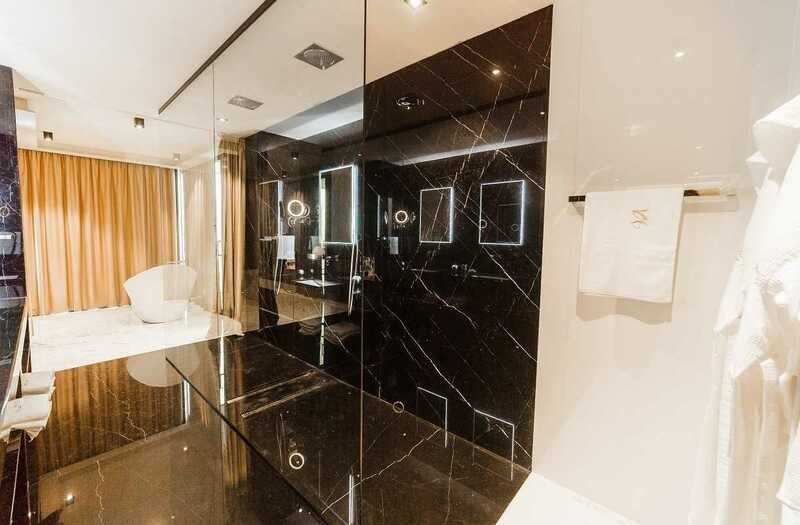 The master bedroom excels in black marble, with an expansive walk-in shower and a tub by the window. 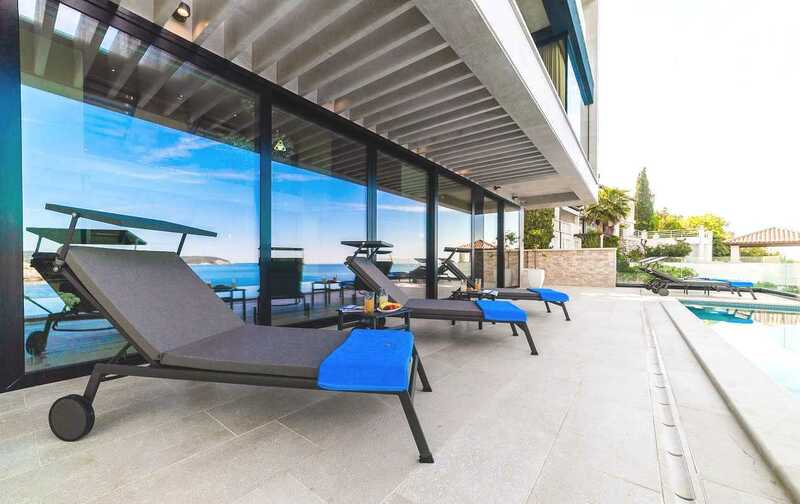 The experience at Beach Luxury Villa in Dubrovnik with pool in Croatia comes complete with a Villa Manager at disposal 24/7, ready to fulfill all your wishes in a heartbeat.